With its pretty and very classic-looking lantern shape, the Roscoe outdoor wall light fits in with numerous property and façade design styles. Roscoe offers bright and very appealing ambient lighting through its white opal glass lampshade and therefore provides added security in addition to providing a clear view over your property at night. 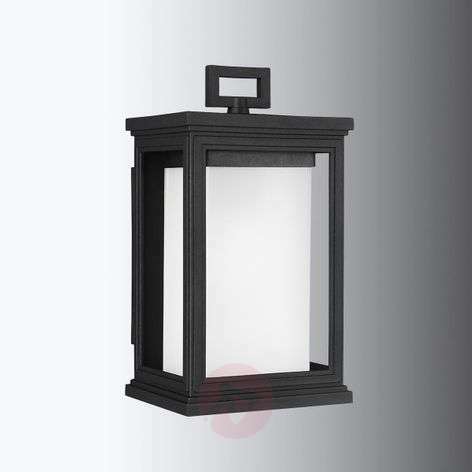 But these are not the only advantages of this special lantern light: Roscoe is also extremely durable and weatherproof (including seawater resistance).